Provide comfort for the family of Yvonne Mallory Collett with a meaningful gesture of sympathy. 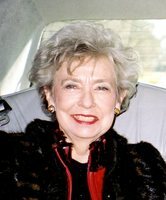 Yvonne Mallory Collett passed away peacefully on March 13, 2019. She went to be welcomed by her Lord and Savior, Jesus Christ for eternity. She was born in Grand Saline, Texas on April 18, 1929 to Linnie Irene and A.O. Mallory. In 1947 she married the love of her life, Jack E. Collett. She loved being a part of the Tyler community for over 65 years. She had a deep love and abiding faith for Jesus Christ and served the Lord at Glenwood Church of Christ. Yvonne is survived by her children; Becki and husband Steve Campbell of Tyler; David Collett and wife Jodie of Mineola; four grandchildren; Chad Campbell, Mallory Collett, Catherine Collett Simms, and Matthew Collett; Great Grandchildren; Beckham Campbell and Isla Yvonne Mozqueda. She is also survived by her brother Stan Mallory and Ernestine and beloved nieces and nephews. Yvonne is preceded in death by her husband Jack Collett, father A.O. Mallory, mother Linnie Mallory and dear sister Rosa Bailey. Yvonne was a beautiful soul inside and out. She would light up a room with her presence. She always wore a smile and reminded each of us to live better, to love and laugh more. Her life was filled with family and friends; and her family and friends were filled with life by knowing her. She never walked into a shop, grocery store, or business that she didn't leave without having met a new friend for life. She was one of those rare people that could lift others effortlessly. Anyone that knew her loved her instantly. Her gracious spirit, love for others and her passion for life will be missed by all who were blessed to know her. Memorial contributions may be made to Hospice of East Texas or the charity of your choice. To send flowers in memory of Yvonne Mallory Collett, please visit our Heartfelt Sympathies Store. Donations are being accepted for: HOSPICE OF EAST TEXAS. We encourage you to share your most beloved memories of Yvonne Mallory Collett here, so that the family and other loved ones can always see it. You can upload cherished photographs, or share your favorite stories, and can even comment on those shared by others. Provide comfort for the family of Yvonne Mallory Collett by sending flowers. So sorry for your loss. May the scriptures at Isaiah 25:8 and Revelation 21:4 bring hope and comfort.